Hello! I’m CaptainQuestion, the guy who drew this comic. I really only know Hanne from buying some mini-comics from her at F.A.C.T.S. a few times, and having a quick chat there, but when I saw the call for guest artists I decided I absolutely wanted to try helping out and give drawing a comic another shot (…It’s been years since I’ve tried last). I’m no writer, so I took a long time rethinking the text here. 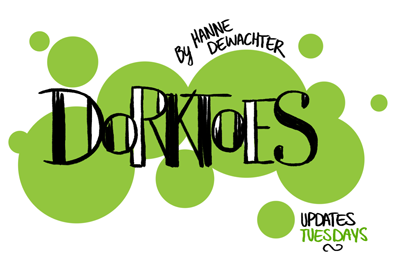 I was (and still am) a bit worried it wouldn’t really fit too well with Dork Toes’ usual style. In any case, I hope you enjoyed what I ended up making.